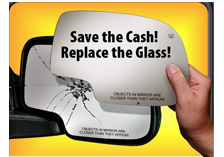 Sinaloa Auto Glass is your one stop auto glass repair shop when looking for auto glass replacement in Los Angeles. You can view our mobile service and see many surrounding cities we offer mobile windshield replacement or auto glass services to. If your windshield has just a small chip, Sinaloa Auto Glass can provide onsite or mobile chip repair service, to prevent your windshield from cracking out further. This can save you hundreds of dollars by eliminating an unnecessary windshield replacement. Do you have a broken tempered side window or back glass? 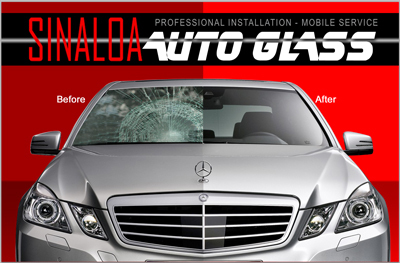 Sinaloa Auto Glass is an expert in replacing and repairing all types of tempered glass. We will clean up the old broken glass and replace it like new. If you have insurance, we can assist you in setting up the claim and will work with you to ensure the replacement process is as painless as possible. For all your Los Angeles windshield repair or auto glass replacement needs, contact Sinaloa Auto Glass today!